Our experienced team installed these retractable screen doors for an Orange County home. 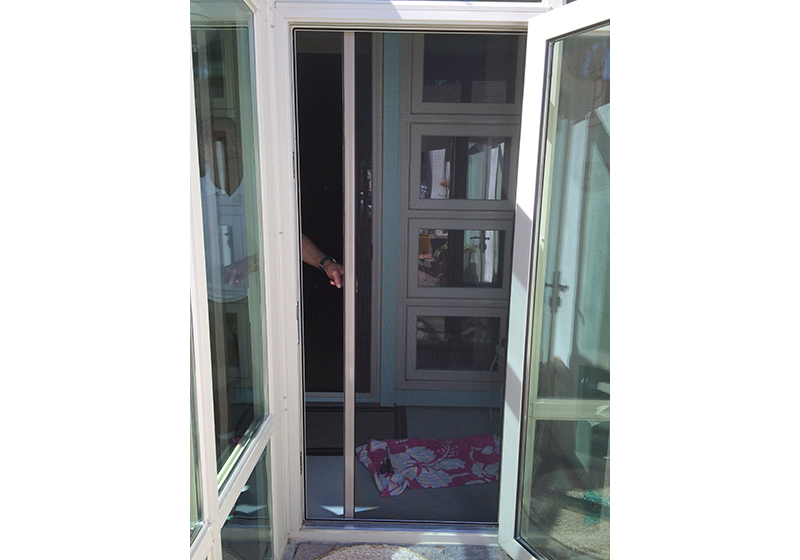 Each screen door is custom sized by a professional installer to perfectly fit each door frame. 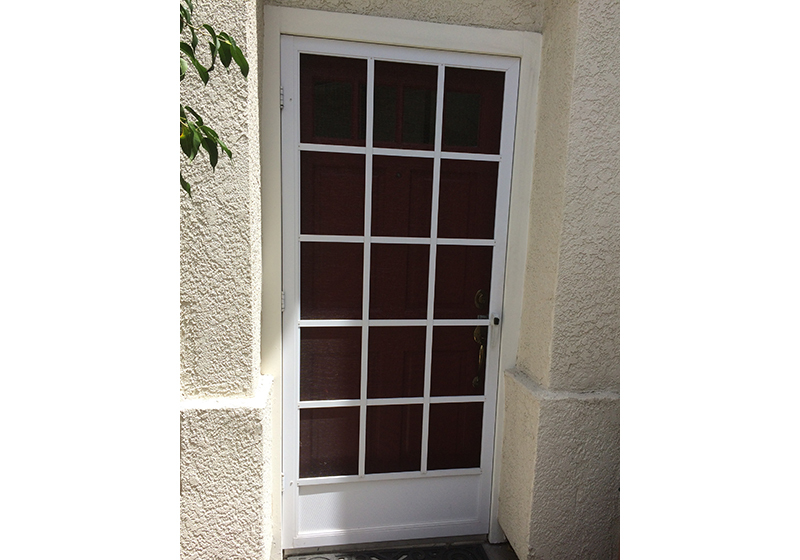 Our professional staff installed this screen door for an Anaheim home. We sell and install custom fit screen doors that feature aluminum locking mechanisms, which are stronger and more long-lasting than plastic. We installed two new sliding screen doors in a Newport Coast home. Our high quality screen doors feature aluminum locking mechanisms that are stronger than conventional plastic locks and easier to use. These before and after photos show the difference our screen door installation in Orange County made for this home. Screen doors improve air circulation and let in natural light, while keeping out bugs and debris. We installed this screen door in Fullerton, CA for a residential client. Now our client can enjoy the fresh air while maintaining privacy for their home. We installed this retractable screen door in Orange County to allow the homeowner to use the screen when they need it and completely retract it when they don't. Our experienced crew installed two new sliding screen doors in this Newport Coast home. We have over 20 years of experience installing sliding screen patio doors, which feature durable wheels and bearings for smooth retraction, and rubber seals to let the fresh air in and the bugs out. We completed this swinging screen door installation at an Irvine home. We sell and install Active brand swinging screen doors, which feature heavy-duty extruded aluminum frames, fiberglass screens, and piston-controlled door closers. These photos show a sliding screen door installation in La Mirada that provides easy patio access for our client. Our highly experienced staff uses long-lasting materials and professional installation techniques for superior results every time. We installed new solar screens in a Laguna Woods home. Our high quality solar screens are custom built and can be installed on windows, sliding and swinging screen doors, and retractable screens. We offer mobile screen services throughout Laguna Niguel, Irvine, Yorba Linda, and surrounding areas. Our window rescreening services use premium mesh screen fabrics in a variety of colors and styles. 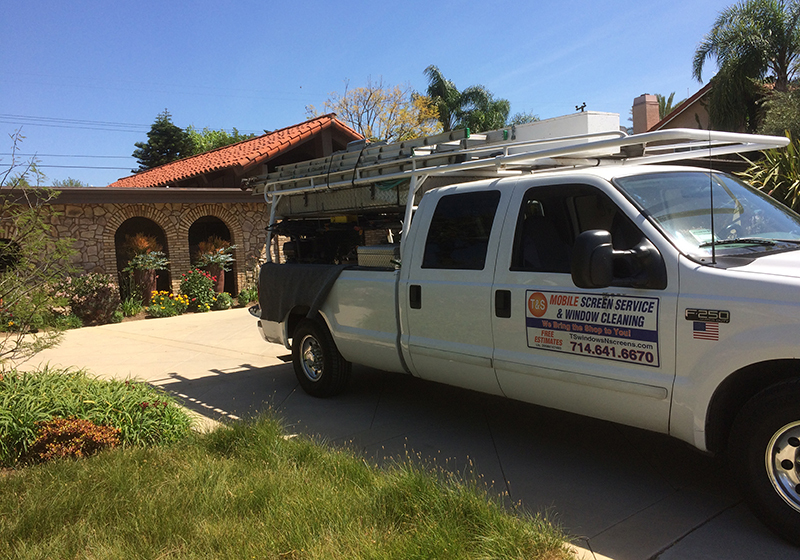 T&S Window Screen Repair and Window Cleaning replaced window screens in Laguna Niguel. We offer the best value in window screen repair and replacements in Orange County. We built and installed these custom window screens in Huntington Beach. All of our window screens are custom designed to ensure a perfect fit, and include a one-year labor warranty. T&S Window Screen Repair and Window Cleaning offers exceptional service and affordable rates for window screen repair, replacement, and installation throughout Orange County. Out expert staff traveled to Costa Mesa for residential window cleaning and screen repair. We are fully licensed and insured and have offered Orange County residents the best in mobile screen services since 1990. 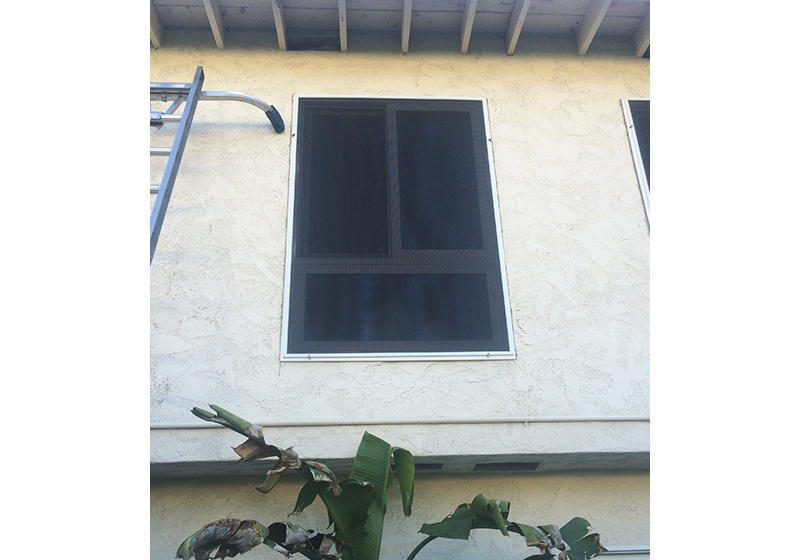 Our experienced staff replaced new window screens for a client's Huntington Beach apartment. Our mobile screen services are often completed in just a few hours and can be scheduled for same-day service. This photo shows our mobile screen services truck arriving to install two new sliding screen doors at a Newport Coast residence. We've been serving Orange County since 1990, and have earned the trust of thousands of satisfied residential and commercial clients. 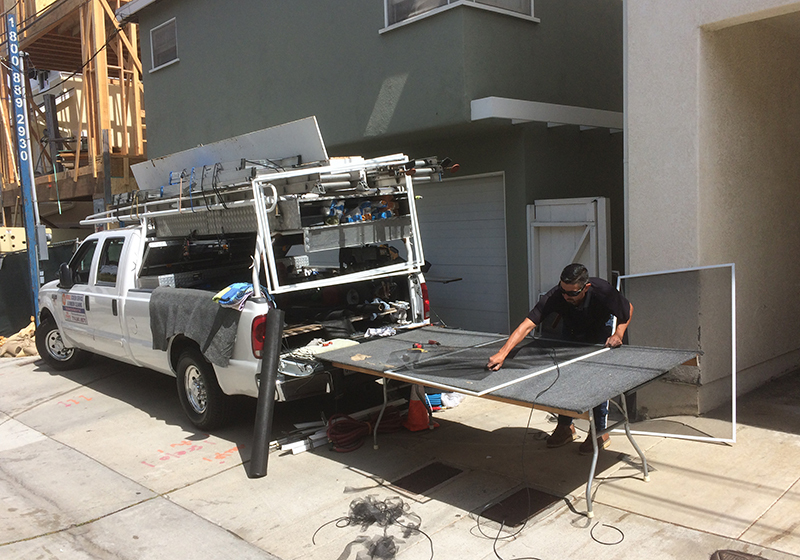 T&S Window Screen Repair and Window Cleaning visited Costa Mesa for a mobile screen repair project.Our mobile screen services include: frame repairs, rescreening, and screen upgrades for windows, sliding screen doors, swinging screen doors, and retractable screen doors. This is the indoor view from a new solar screen installation in a Laguna Woods residence. Our solar screens provide natural indoor lighting while also blocking the sun’s harmful UV rays, limiting heat transfer, and protecting indoor carpets and furniture. 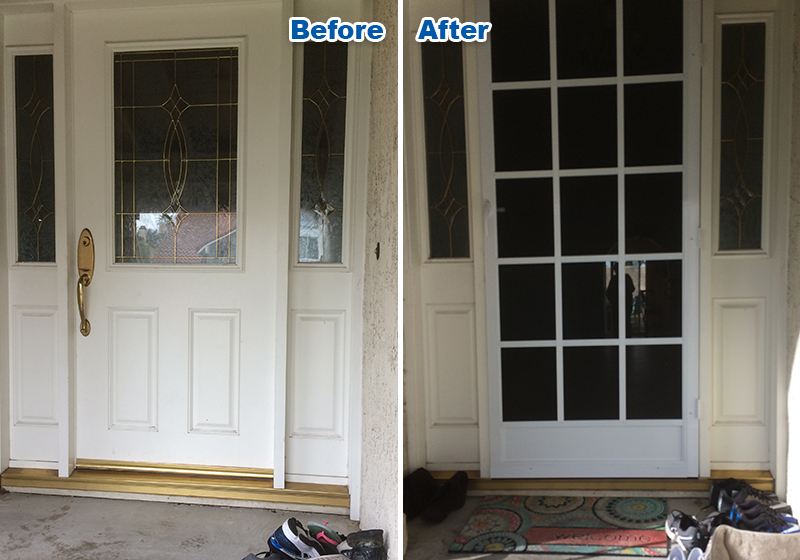 We completed same-day screen door repairs and mobile window screen replacement in Seal Beach. With over 28 years of industry experience, we are well qualified to provide a wide range of mobile screen services, include rescreening, screen upgrades, and frame repairs for window and door screens. We provided same day mobile screen replacement in San Clemente. Our mobile screen services are available throughout Orange County, including Yorba Linda, Laguna Niguel, Huntington Beach, and surrounding areas. Call today for a free estimate. T&S Window Screen Repair and Window Cleaning completed this window rescreening in Laguna Niguel. We provide affordable window screen repair and replacement for all of Orange County. At T&S Mobile Screen Services we bring our screen shop to you. We repair damaged window screens for a homeowners throughout Orange County. Window screen repairs are a cost effective way to salvage your screens and provide your home with the necessary protection. We replaced this bent screen in Laguna Beach with a new, high quality window replacement screen. We offer many custom design options for window screens, including white, bronze, almond, and anodized aluminum frames, and grey and charcoal mesh screen fabric. T&S Window Screen Repair and Window Cleaning installed this screen door in Orange County. We provide retractable screen installation and repair services throughout Anaheim Hills, Fullerton, Orange, Tustin, Irvine, Huntington Beach, and surrounding areas. 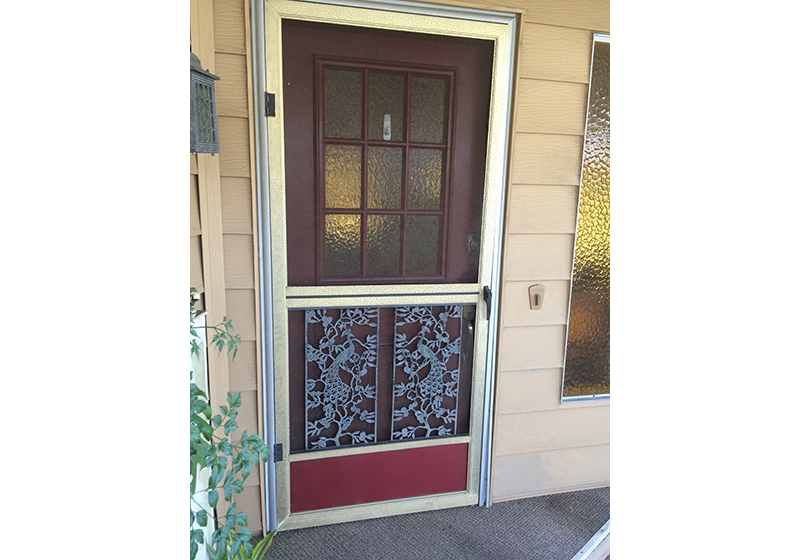 This swing-in screen door installation in Placentia features a custom grille and kick plate. 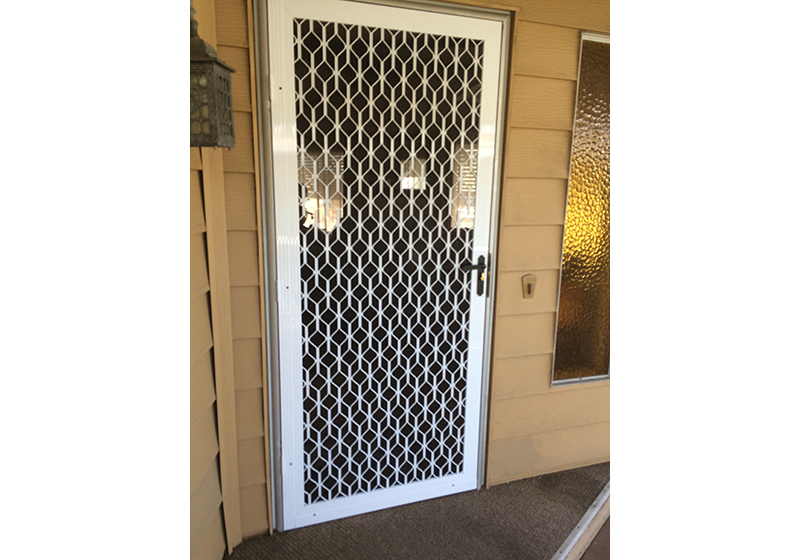 Our screen door grilles are functionally designed to eliminate the gap at the bottom of the door and prevent the screen from stretching with wear. T&S Window Screen Repair and Window Cleaning installed this new garage screen door at an Irvine home. This Active swinging door features a decorative grille and kick plate on the bottom half that helps to protect the screen from heavy use. This newly installed sliding screen door in Orange County includes a doggie door for our client’s pets. We always use heavy-duty Nylon screen mesh for pet doors, which can be custom designed to fit nearly any size of dog breed. T&S Window Screen Repair and Window Cleaning installed a 60” sliding screen patio door for a Garden Grove residence. We offer a variety of screen mesh options, including solar mesh. This durable mesh increases privacy and blocks the sun's damaging UV rays, which reduces heat transfer and helps protect carpets and furniture. We rescreened this swinging screen door for an Anaheim residence. When an older screen door become tattered or worn, T&S Mobile Screens is your go-to source for rescreening. The door features a sturdy aluminum frame, an intricate peacock design, and a mesh screen. We installed a new mesh screen and new hinges to reinforce the stability of the door. T&S Mobile Screen Services installed this aluminum swinging screen door for a Lakewood residence. The door features a white aluminum frame with a square pattern and mesh screen creating a simple yet classic look that compliments our client's home. We have several colors and patterns to choose from and always customize our screen doors to match our client's preferences. We installed this disappearing screen door in Huntington Beach, CA. The door leads from our client's home to a unique outdoor glass room. We custom cut every screen door to perfectly fit it's door frame, and can have it open from the right or the left. We work directly with our clients to achieve their desired results. T&S Mobile Screen Services is the best choice for window screen installation, repair, and replacement in Orange County. We installed this window sunscreen for a home in Mission Viejo, CA. The solar screen covers the entire window frame and helps block out the sun from a second-story bedroom. 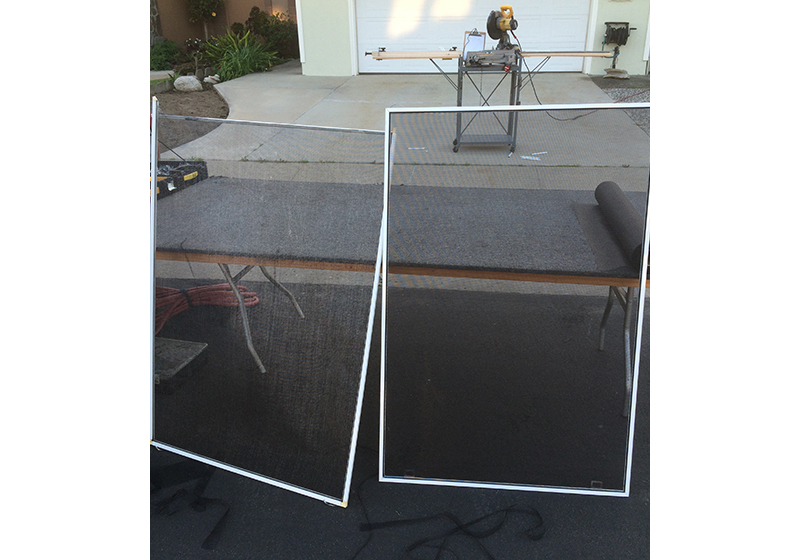 Our experienced staff completed this window screen replacement at a Laguna Niguel residence. We have over 20 years of experience in window screen and screen door repair and replacement. This sliding screen door in Irvine was installed by our expert technicians. It features heavy duty pet mesh and durable aluminum hardware. T&S Window Screen Repair and Window Cleaning installed a disappearing screen door in this beautiful Laguna Niguel home. We offer the best retractable screen doors that are specifically designed to slide into place when you need it, and out of sight when you don’t. Our retractable screens are all manufactured by ClearView Retractable Screens. T&S Window Screen Repair and Window Cleaning installed this new screen door in San Clemente, which allows them to leave their patio door open and let in the fresh ocean breeze. 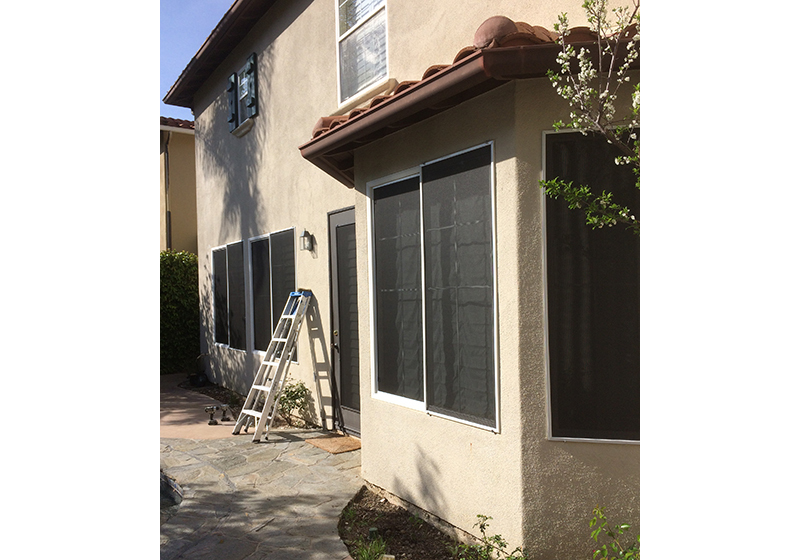 This photo shows us replacing window screens in Laguna Niguel. Our experienced technicians can replace, repair, and install all styles, sizes, and types of window screens and frames. 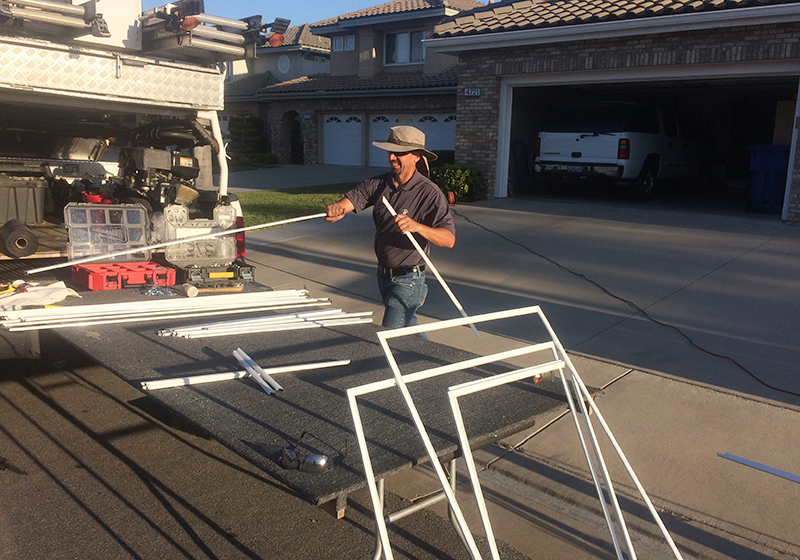 Our mobile screen services team traveled to Rancho Santa Margarita to install window screen replacements at a client’s home. Our mobile service trucks are fully stocked with all the tools and equipment necessary to accommodate same-day and next-day screen replacements.